Have you ever noticed that your child doesn’t push against the walls of your house to see if they’ll move? You don’t push against your walls, either, even if you wish you had an extra four feet of space on the west side of your kitchen to build a breakfast nook. So why do your children push so tenaciously and expertly against your other boundaries? (Seriously—how did they get so good at this, anyway?) 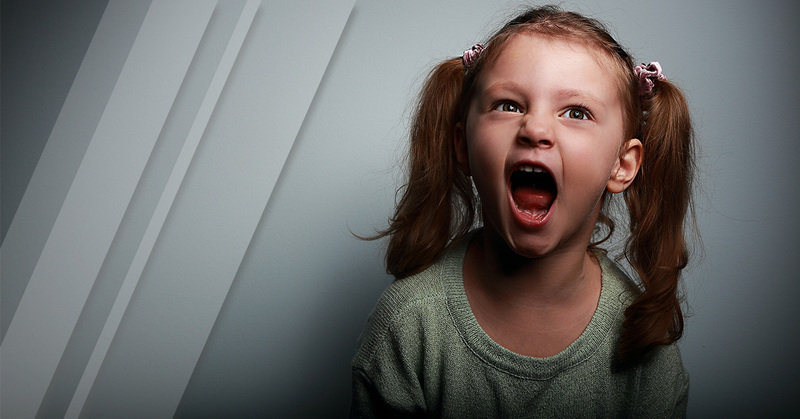 If salespeople had half the negotiation skills when dealing with a CEO or executive decision maker as that same person’s two-year-old has against them, they’d make a killing. We see it repeated over and over again. A new preschool-age child who comes to daycare doesn’t know where the boundaries are in this new setting. The first few days are an adjustment as they discover the structure of how things are set up. As soon as they discover the boundaries, they become visibly happier and feel more secure. In other words, boundaries not only help with better behavior, they help with the child’s emotional well-being. When a boundary doesn’t move, a child will quickly assume that there is an unbreakable connection between cause and effect, and they will stop trying to push it. We don’t push against walls when they’re made of drywall and lumber because it’s unproductive. There’s no reason to bother. However, you can achieve the same effect with “virtual” boundaries. You know that they’re arbitrary and could be moved, but you create the illusion of solidness for the child by never letting them see the boundary get pushed. “No” is a virtual boundary – but it can be as solid as the walls of your house when you are consistent in upholding it. The trouble is when “no” can change to “yes”—and a child knows it. A child will push and push and push a movable boundary, not because they’re trying to be master manipulators, but simply because they want to know where the “real” borders are and they won’t feel safe or secure until they know the answer. It is only when children get a bit older that they discover they have power to manipulate people (and by then, they’ve had lots of practice). However, as counter-intuitive as it seems, you are actually doing your preschool-age child a disservice by having only movable boundaries or absolutely no boundaries at all, because they will be more prone to feeling unsettled, anxious, and unable to predict the actions of adults. Then, if a child concludes that adults only ever act in ways that are unpredictable or random, that child is less likely to be able to develop a frame of reference for how to order their own behavior to please adults. This leads to a further downward spiral of behavior and the relationship with that adult. It should go without saying that boundaries should never be enforced with yelling, rage, or violence of any kind. Instead, let your children know about boundaries with unfailing kindness, nurture, and gentleness. Your walls don’t have to yell at you to get you not to push them, and the same can go for your interaction with kids. Contact us today to get started with your enrollment.